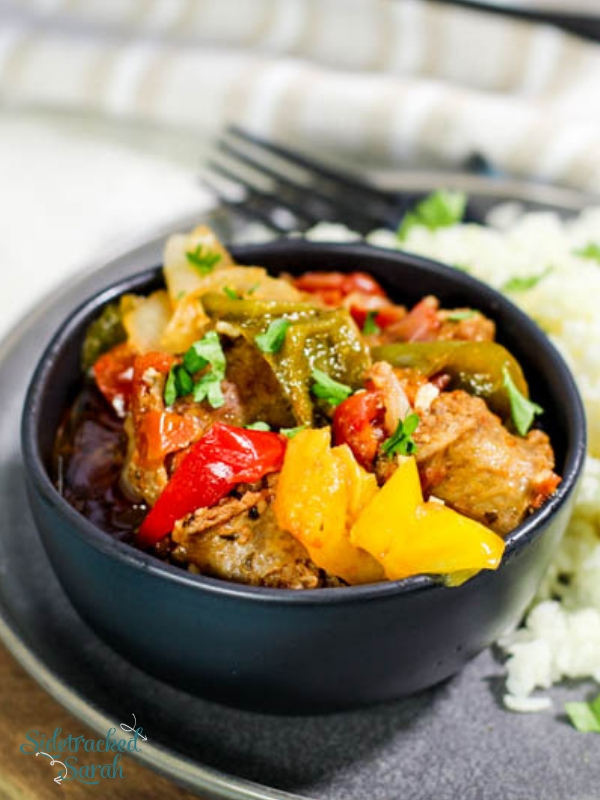 Instant Pot Italian Sausage and Peppers Is A Perfect Meal For Any Season! We love Instant Pot recipes! Some of our favorites include Instant Pot Pulled Pork and Instant Pot Roast Beef. We love Italian Sausage and Peppers! That spicy, savory blend of delicious bites of sausage and tender strips of peppers and onions is just so good. While I love making them in the Slow Cooker, sometimes I just don’t have that much time to spare. With my Instant Pot, they’re ready in minutes instead of hours! 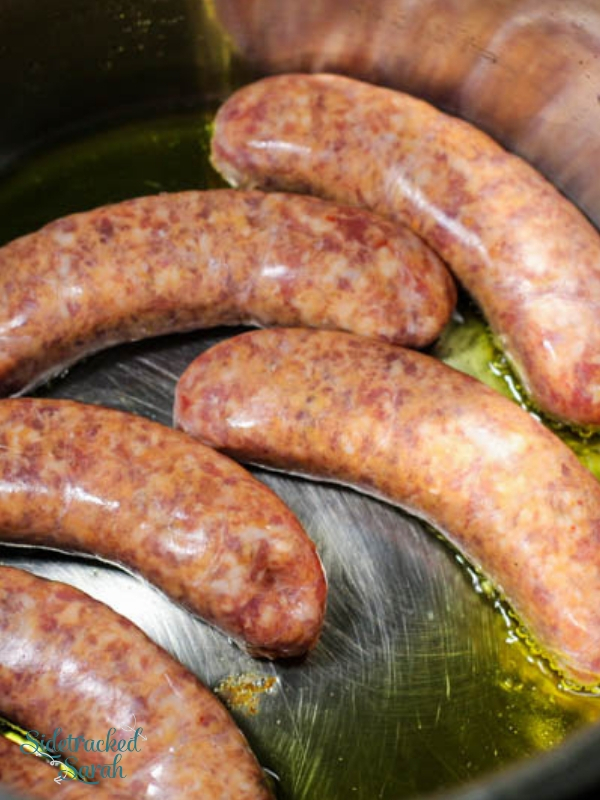 DOES IT MATTER IF I CUT UP THE SAUSAGE BEFORE OR AFTER BROWNING IT? You can do it either way, but I prefer to cut the sausages into bite-sized “coins” after browning them on the saute function. They hold their shape much easier when I do it this way, and I’ve found that they’re also easier to cut. You’ll get the same great flavor either way, though! 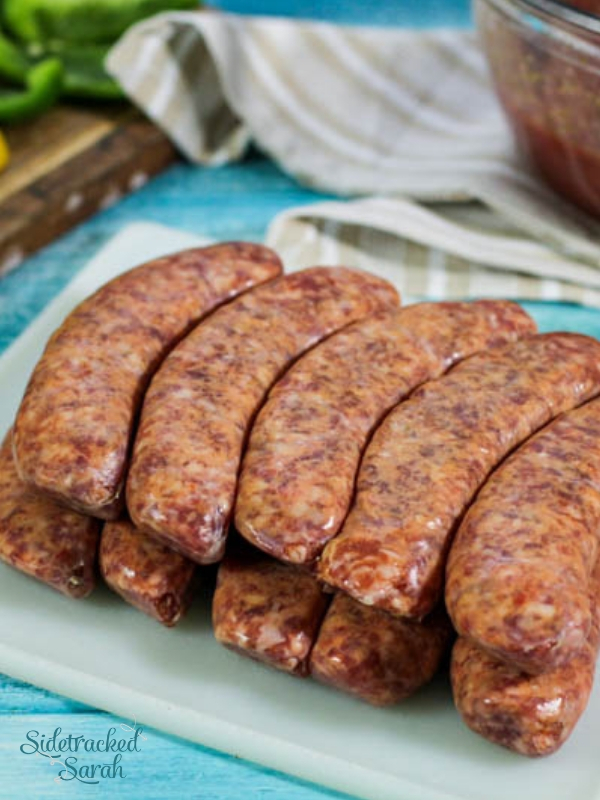 HOW SHOULD I SERVE INSTANT POT ITALIAN SAUSAGE AND PEPPERS? Traditionally, Sausage and Peppers are served on a French roll or hoagie roll and eaten as a sandwich. If you want to be a rebel though, feel free! They’re delicious when served with rice, pasta, or even on their own. 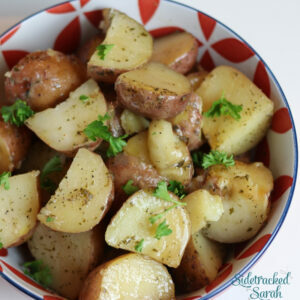 They’d also make a great topping for Instant Pot Baked Potatoes or Sweet Potatoes! 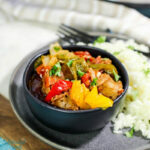 WILL INSTANT POT ITALIAN SAUSAGE AND PEPPERS FREEZE WELL? This recipe freezes beautifully! If you’re lucky enough to have leftovers, you can easily freeze them to have on hand. Whenever you’re in the mood for some delicious sausage and peppers, just pull them out, reheat, and you’re ready to go! Brown the Italian Sausages on saute function. (I usually start with them whole, then slice them up while they’re cooking…they stay in tact and keep their shape better that way). Layer half of the onions on bottom of Instant Pot, then add half of the peppers. Put all of the browned sausage on top of that, followed by the rest of the onions and peppers. Mix together diced tomatoes, tomato paste, spices and beef broth and pour over the top. Cook on high for 5 minutes; Natural release 5 minutes, then quick release.